Generally, commercial vehicle accidents involve a car or truck owned by a business or used for business purposes. From a delivery van or courier service vehicle to semi trucks used in interstate commerce, millions of commercial vehicles share the roads with privately owned cars each day. 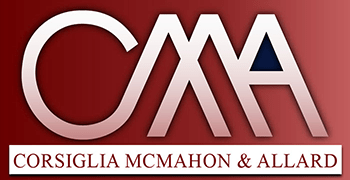 At Corsiglia McMahon & Allard, L.L.P., our experienced commercial vehicle accident attorneys represent victims who have been injured in accidents with commercial vehicles. To schedule a free initial consultation to discuss your situation, contact us at (408) 289-1417. You will pay no attorneys' fees unless we obtain compensation for you. In some industries, including interstate trucking, commercial vehicles are required by law to carry liability insurance of $750,000. Commercial vehicles are often insured under business policies. The higher dollar value can give an injured victim better compensation, but it also means it may be more difficult to win the case. In commercial vehicle accidents, it is vital to choose an experienced trial lawyer with the resources and skill to stand up to the insurance company. 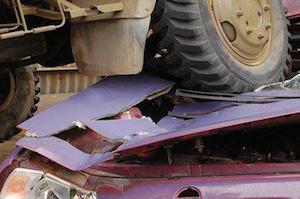 Commercial vehicle insurers aggressively defend against personal injury claims. You need an attorney who will be as aggressive in protecting your right to compensation. Commercial drivers are responsible for operating their vehicles safely. Before employing a person to drive a charter bus, dump truck, or other commercial vehicle, companies are expected to make sure the person is properly trained and qualified. If a company acted negligently in putting that driver on the road, it should be held liable for the damage that resulted. Our firm knows how to analyze your commercial vehicle accident case to present a compelling argument to insurance companies, the judge, and jury. Many commercial vehicles, including buses and heavy trucks, can cause extensive damage when operated negligently. The injuries that result from crashes with these vehicles are often severe or even fatal. Our commercial vehicle accident attorneys have handled many wrongful death and catastrophic injury cases. We can help you recover the compensation you deserve to cover the medical expenses, disability, and other costs associated with a serious injury. Our team of lawyers will fight for you through this difficult time. If you have been involved in an accident with a commercial vehicle, contact us at (408) 289-1417 to schedule a free initial consultation. Clients come to us from throughout the Bay Area, including San Jose, Santa Clara, Mountain View, Cupertino, and Campbell.